Tropical Cyclone Mekunu slammed southwest Oman on May 25 to 26. The Category 3 landfall is a first in the satellite era in southwest Oman. 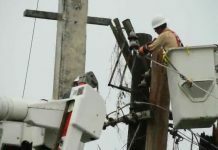 Life-threatening flooding, destructive winds, and storm surge were all impacts. 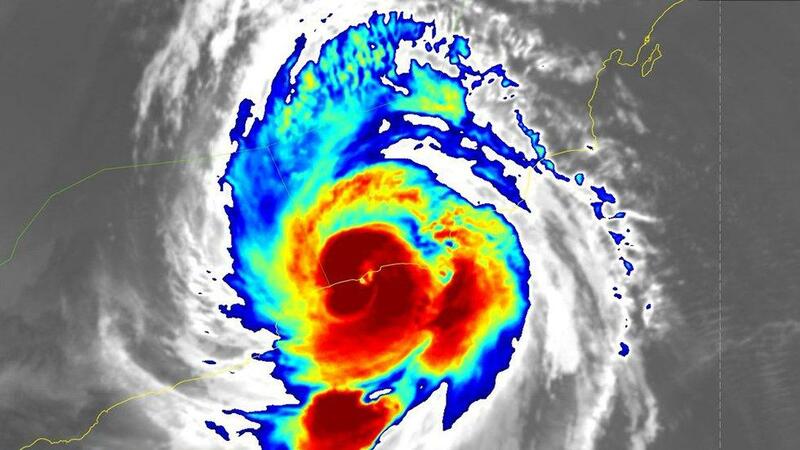 Tropical Cyclone Mekunu made an historic landfall in southwest Oman, unleashing its fury on the city of Salalah the likes of which haven’t been seen in decades in that part of the Arabian Peninsula. 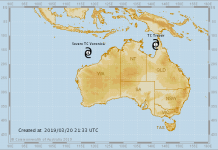 The center of Mekunu moved ashore near the port city of Raysut just before midnight, local time on May 25, 2018, with estimated maximum sustained winds of 115 mph, Category 3 intensity, according to the U.S. Joint Typhoon Warning Center. Torrential rain and high winds lashed western Oman and eastern Yemen as the center of Mekunu drew near, then moved ashore. 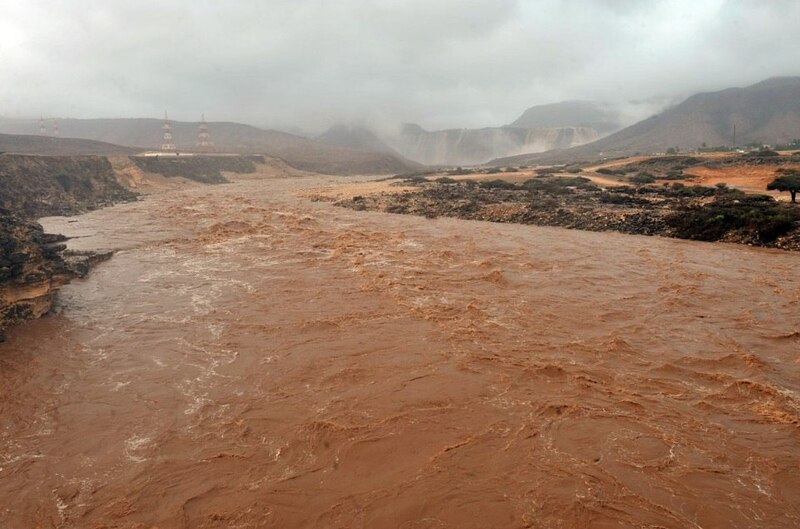 Salalah, the third-largest city in Oman with a population of more than 300,000, picked up 278.2 millimeters (10.95 inches) of rain in just 24 hours ending around 10:30 a.m. on May 26, according to Oman’s Public Authority for Civil Aviation (PACA). This was over double the city’s average yearly rainfall of about five inches in just 24 hours. Low-lying areas became inundated with water, and wadis, the normally dry valley, ravines or channels, overflowed in Dhofar Governorate. 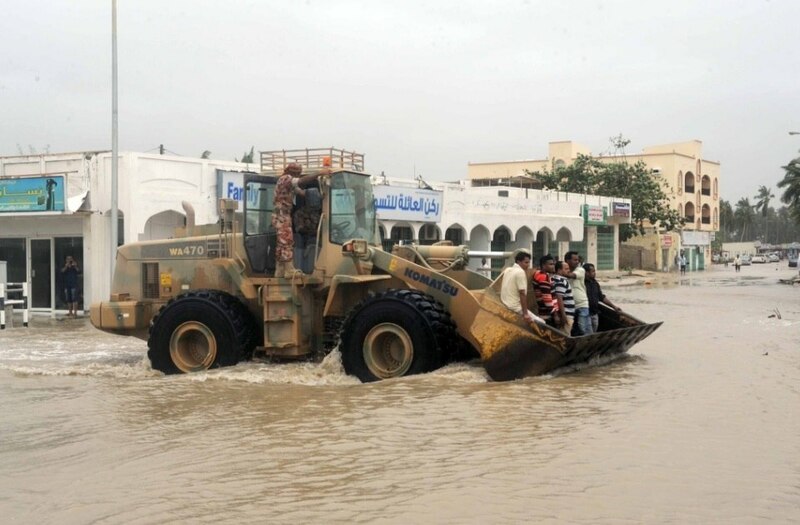 Some roads in Salalah remained flooded the following day, according to the Times of Oman. Winds gusted up to 68 mph at Salalah Airport, which was closed ahead of Mekunu. A wind gust of 70 mph was measured in Dhalkoot, along the coast near the border with Yemen earlier Friday. Storm surge flooding of low-lying coastal areas was expected just ahead of and during the arrival of the center ashore. Wave heights of 8 to 12 meters (26 to 39 feet) were expected off the coasts of Dhofar and Al-Wusta Governorates, according to PACA. For perspective, a measure of the amount of water vapor in the air through the atmopshere known as precipitable water in Salalah, Oman, on May 25 was determined to be at record levels in the city’s 35-year upper-air record, according to climatologist Dr. Brian Brettschneider and NOAA meteorologist Alex Lamers. 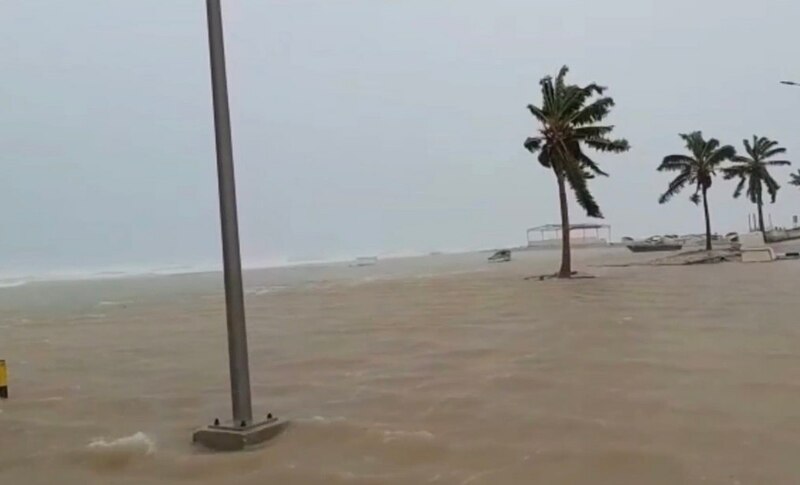 Flooding and damage to houses have been reported on Socotra, as Mekunu raked the archipelago of islands about 150 miles east of the Horn of Africa, Arab News reports. 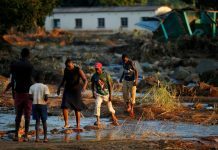 At least 40 people were reported missing after two ships capsized in the storm and three vehicles washed away, according to the Associated Press. The Yemen government has already declared Socotra a disaster zone. According to Dr. Hermann Fritz, an expert on coastal hazards at Georgia Tech’s School of Civil and Environmental Engineering, the only road between the Socotra’s capital and most populous city of Hadiboh to the Socotra Airport was washed out. 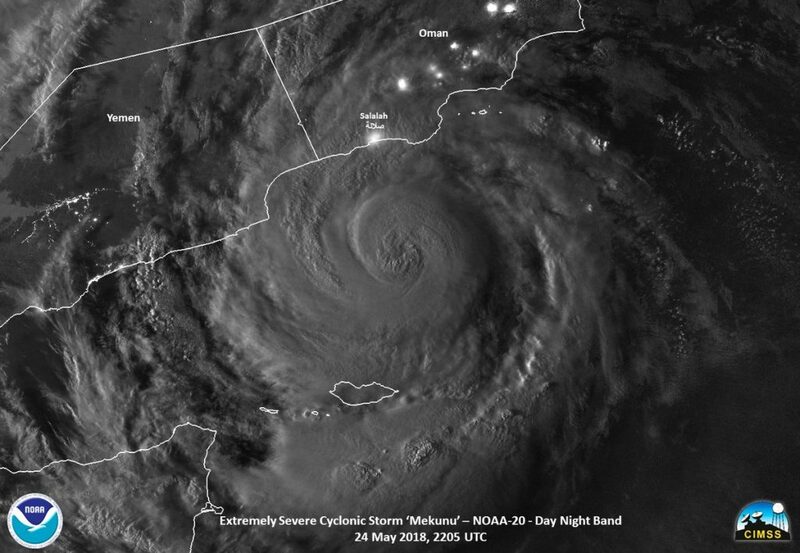 Although the Arabian Peninsula is affected by a tropical cyclone every one to two years, a tropical cyclone landfall at the equivalent strength of a hurricane is rare in western Oman or eastern Yemen. The last tropical cyclone with a hurricane-equivalent intensity to track near southwestern Oman’s Dhofar Governorate was in May 1959, according to NOAA’s historical database; there is no record of a landfall stronger than Category 1 in this part of Oman in NOAA’s database. What’s even more rare is a Category 3 landfall? Again from NOAA’s historical database, the only other Category 3 landfalls of record anywhere in Oman happened this century in northern Oman (Phet in 2010 and Gonu in 2007). More recently, Tropical Cyclone Keila made landfall in southwestern Oman as the equivalent of a tropical storm on Nov. 3, 2011. 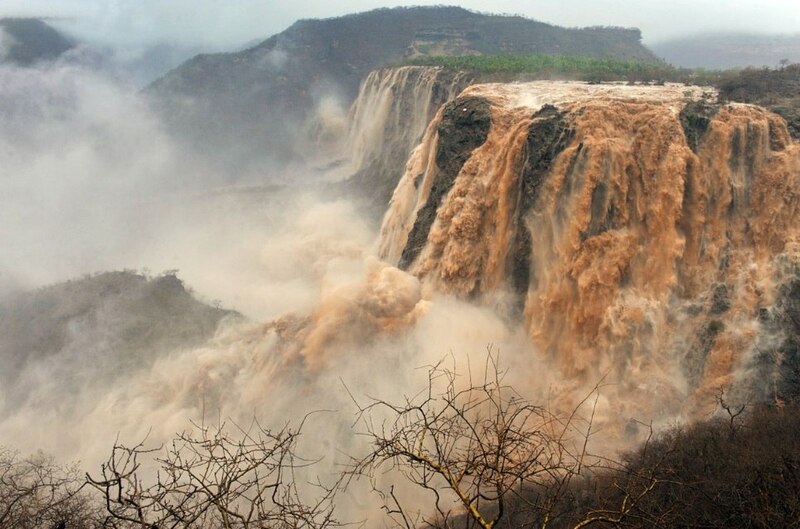 Keila brought about 28 inches of rainfall to the mountains near Salalah, and flash flooding was observed across much of the country. At least 14 people were killed. This is very strange the typical winds and tempests of the monsoons move to an area where there is no vegetation. It’s all desert. This storm is controlled from the south pole with microwave radiation HAARP. Flash Flood Emergency Issued For Ellicott City, Howard Co.